Today, February 7, I had the pleasure of speaking to the Arizona Partners in Policymaking (PIP) ’14-’15 class sponsored by Pilot Parents of Tucson. 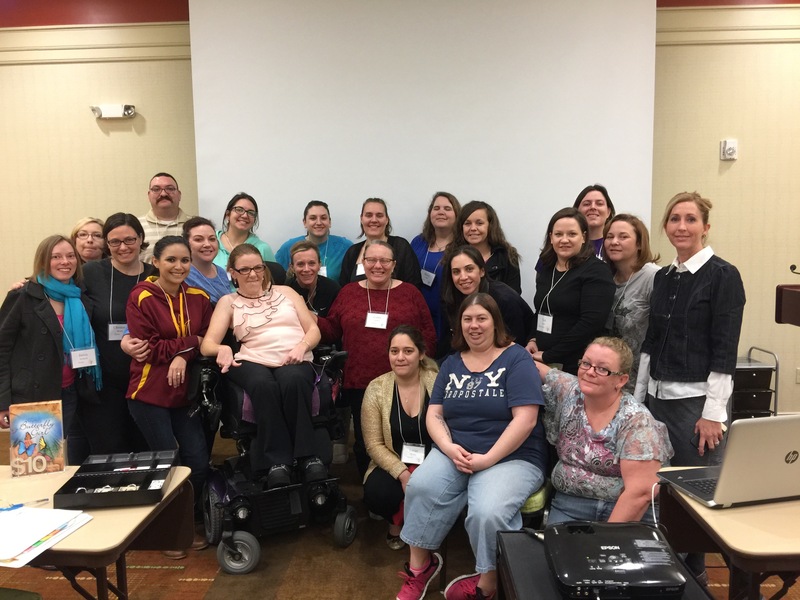 Not only is this group close to my heart because I am a PIP alumnus myself and it’s a honor to be asked back as a presenter, but the majority of the participants are ones I most enjoy encouraging– parents of young kids with disabilities. I know that may seem strange, but here’s why: I’ve discovered just how intensely they can worry about their children’s future roles in society and it’s a distinct blessing to be a real-life example of what achievements are possible. I hope I’ll get to help them share their stories someday! A couple of the attendees asked me if they could have a copy of my presentation, so the written speech and PowerPoint slides can be downloaded by clicking the link below. Enjoy! I’m so grateful I was able to meet you and hear your story. Thank you for being open to God’s calling for you, you are changing people’s lives. I wanted to also say I just learned tonight that you and my good friend Jolene De Tiege are friends I wasn’t surprised as she is another amazing inspiration of mine. Jolene has been a huge supporter in my families endeavor to raise money and awareness for Muscular Dystrophy. All 3 of my son’s have DMD and Jojo has been our best fundraiser. Thank you, Liz! You’re so sweet! Knowing I encouraged you today brings joy to my heart. Jolene actually messaged me as soon as I posted this blog, LOL! She could barely contain her excitement that I got to meet you and told me about your boys. ☺️ She most definitely is amazing. My business would never get off the ground if not for her help. She’s truly been my angel the last few months! Anyway, I hope The Little Butterfly Girl speaks to you in exactly the right way. Feel free to contact me anytime! God has so gifted you with the ability to encourage and lift up the people around you. I am so blessed to know you. It is a joy to see you sharing your gift! That is so wonderful Brooke! I’m sorry I missed it, sounds like the group were really engaged, listening and interested in you and what you do. It’s always great to present to people like that, and knowing your accomplishments inspire them and give them hope. Love the picture! Thanks for sharing Brooke, love you dear friend!